Khak Aur Khoon By Naseem Hijazi Most famous Read Online & Download for free available this site Monthly Pakistani Digest 2018. Here you can locate all sort of sentimental and Social Urdu Novels Written By Pakistani Famous Writers. 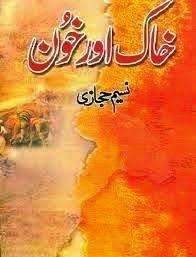 Read Online Urdu Novels, Imran Series, English Novels, And Kids Stories, Imran Series, Islami Books, Urdu Novel.